Pik Palace Hotel Shahdag is the premier luxury destination in Shahdag Mountain Resort, located 230 kilometers north from Baku. Inspired by the magnificent beauty of the mountains, the hotel offers the ultimate recreational experience in an ambiance that is resort-chic where every detail provokes contentment and joy. 167 spacious bedrooms and suites feature large king-size beds, comfortable seating and working areas and floor-to-ceiling window with French balconies. The oversized marble bathrooms with double-sink, large bath-tub, walk-in rain shower and separate toilet provide maximum comfort for individuals, couples and families alike. All rooms are fully equipped with modern amenities. 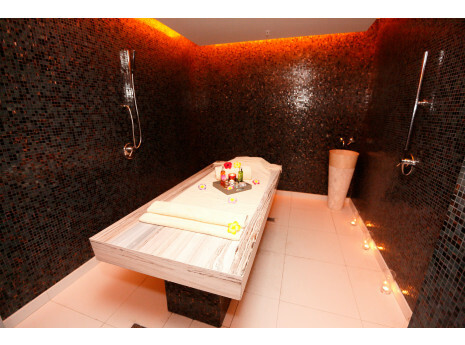 Pik Palace Hotel Spa center is a world of health and wellbeing for your mind, body and soul. A dedicated area rare for Spa sanctuary where you can entirely relinquish to highly professional therapists exclusively dedicated to your wellbeing. All of The Spa five treatment rooms, including a suite for two are designed to create the atmosphere of the utmost serenity. Each treatment room features a private walk-in shower, vanity area, and toilet. 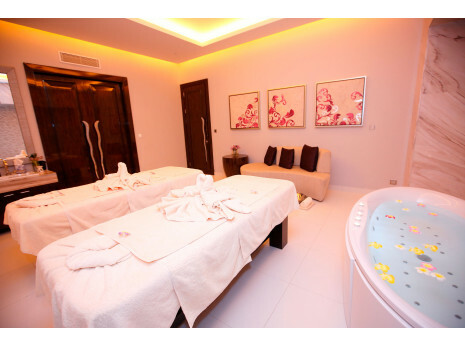 The Spa facilities also include a steam bath, wet room, and separate relaxation area to enjoy before and after your treatments. Whether you come to enhance your outward appearance, or restore your inner well-being, The Spa invites you to experience internationally quality products with exceptional service in unique setting.